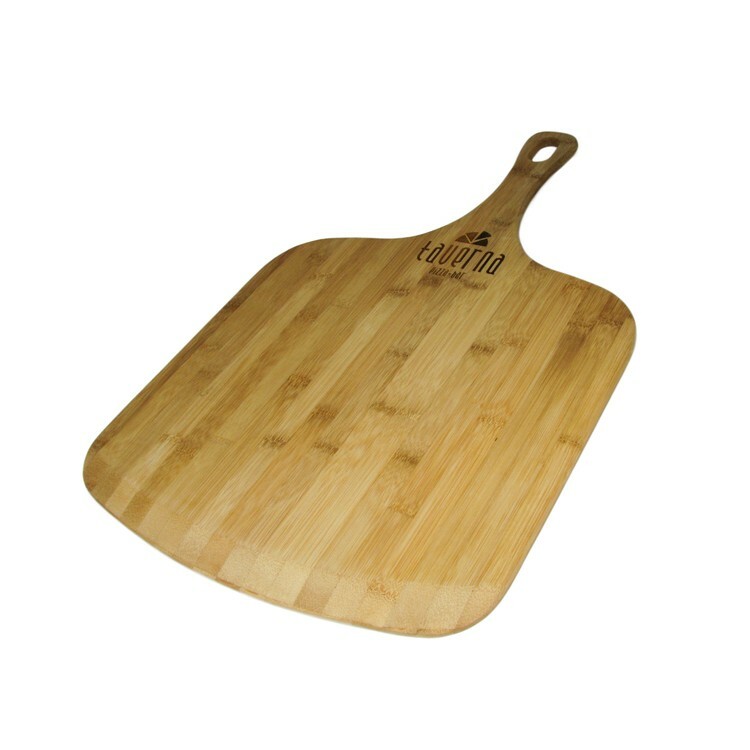 Here is a perfectly sized pizza peel for all your restaurant and pizza shop clients. The high function, solid bamboo is ready to go into service the day it arrives. Easily handles pizzas 18" and larger with a smooth beveled front to easily slide under the pie. Available with ample ad copy space for your message. 14.75 x 23.625 x .625"
Price includes a one position laser engraving, application of FDA-approved food-safe oil, poly-bagged and a white tuck fold gift box.